With Round 8 now in the books, the chapter on the Cowboys winning the Premiership appears to be closed while the Bulldogs are going Under too. Kalyn Ponga may be taking over the role as the NRL’s Cinderella in 2018, though. Here’s how Round 8 looked for punters. 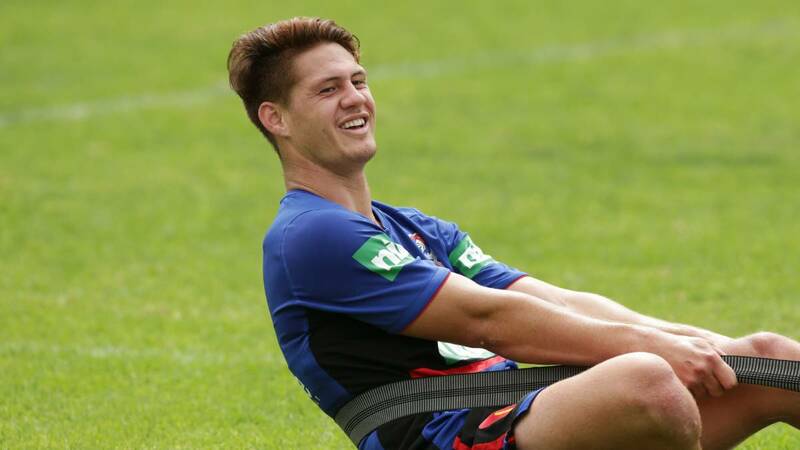 With Mitchell Pearce spending at least the next 10 weeks on the sidelines, Kalyn Ponga is the undisputed main man at the Newcastle Knights. As we saw on Friday night in their 18-12 win over the Sea Eagles, anything decent will have been run through him. With that, he becomes a genuine Dally M Medal candidate. At $11 to win after Round 8, now is the time to get on the 20-year-old. When the Knights win, he’s more than likely receiving three points. And when they don’t, it’s not uncommon for the best player on the losing team to get a charity point. If Ponga stays healthy, he will keep repeating the 131 running metre, one try assist and 11 tackle break performance we saw on Friday night and be towards the top of the Dally M Ladder after Round 25. Anybody on the Cowboys to win the premiership before the 2018 NRL season began can kiss those tickets goodbye. Now 2-6 to start the year, the Cowboys look like a shadow of the team that made an appearance in the 2017 Grand Final. Old, slow, and unable to even win at home, the fork is hanging over North Queensland – they’re almost done. While tipping them for the wooden spoon at $26 isn’t a great option, neither is taking their $15 premiership odds at the moment. Chasing your losses is never wise, but the Storm and Dragons at $5 are an appealing option, nevertheless. We know the Under is a profitable option early in the NRL season. However, the Bulldogs are taking it to another level in 2018. In their seven games since Round 1, the Under is 7-0. Backing up 2017’s 71% Under rate, the Bulldogs and their 15th-ranked 14.7 points per game have seen 87.5% of their matches fall Under the total so far this season. Their games have been painful to watch at times, but if you’ve been on the Under, they’re bearable. Not a whole lot changed in the ATS table this week. Although, with a four-way tie at the top and bottom, there’s a good chance it looks a lot different at the completion of Round 9.